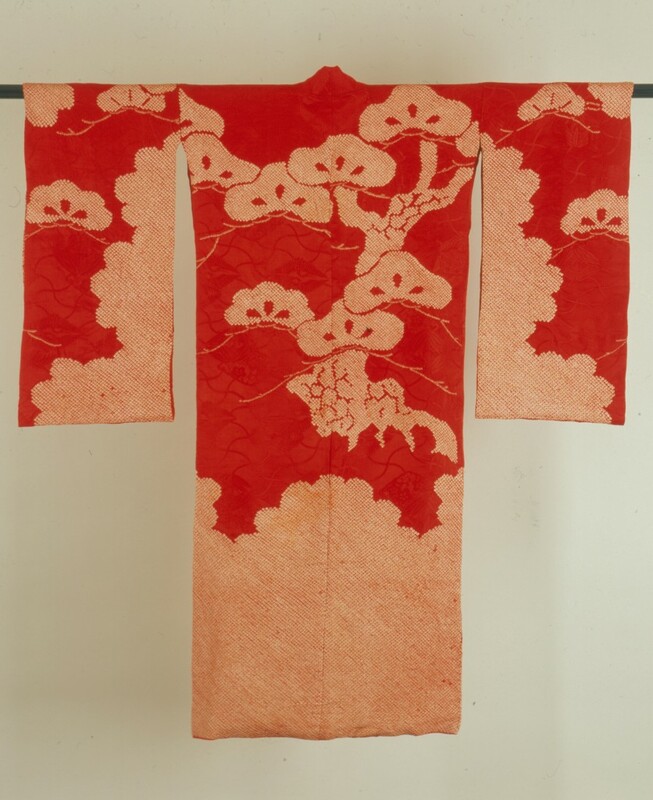 This exhibition highlights 75 kimono of the late 19th and early 20th centuries including formal, semi-formal, and casual kimono, haori jackets, and undergarments worn by men, women, and children. 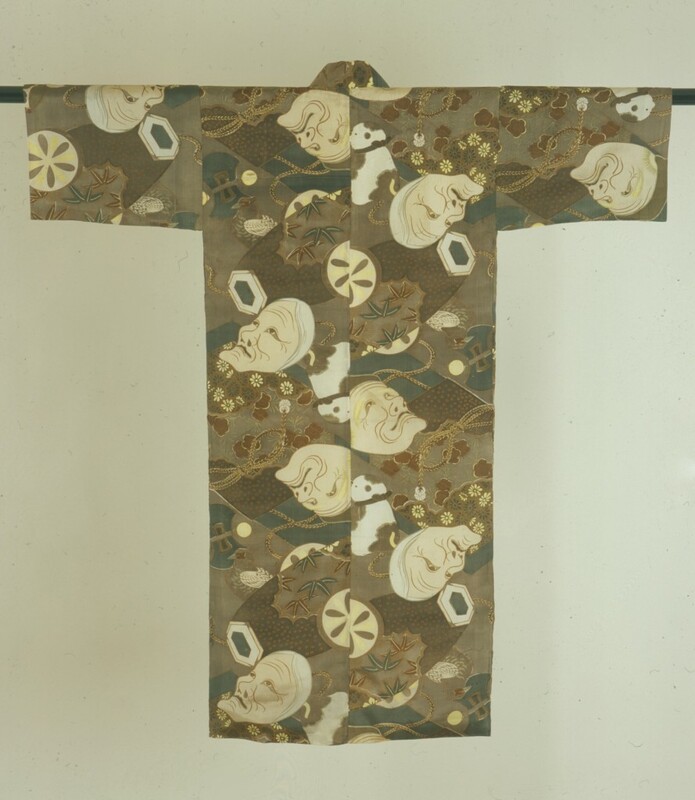 The kimono are drawn from the renowned Montgomery Collection in Lugano, Switzerland, and are featured along with a selection of period photographs on loan from the International Hokusai Research Centre in Milan. 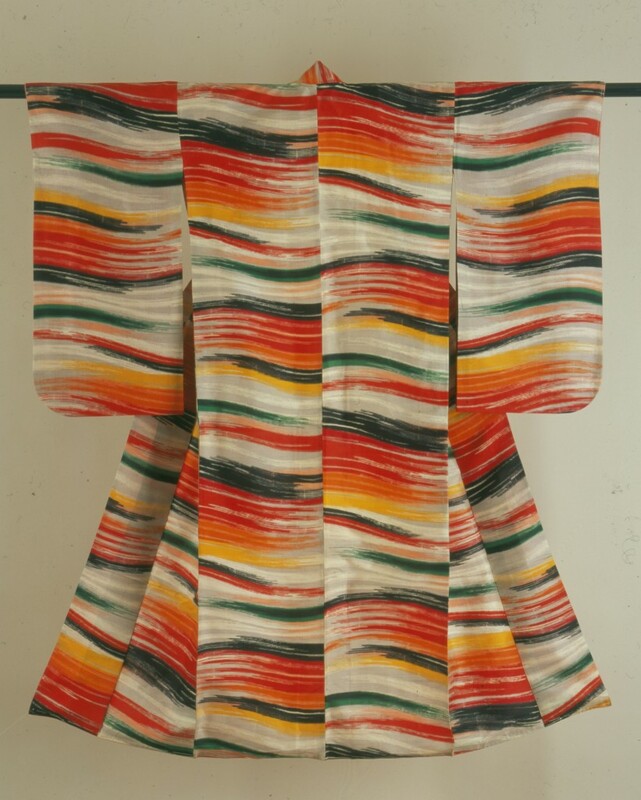 The kimono portray two important facets: they represent one of the most dynamic periods in the history of Japan’s national costume, and they also depict the last historical era of the “living kimono”—when kimono were being worn by the majority of the populace. 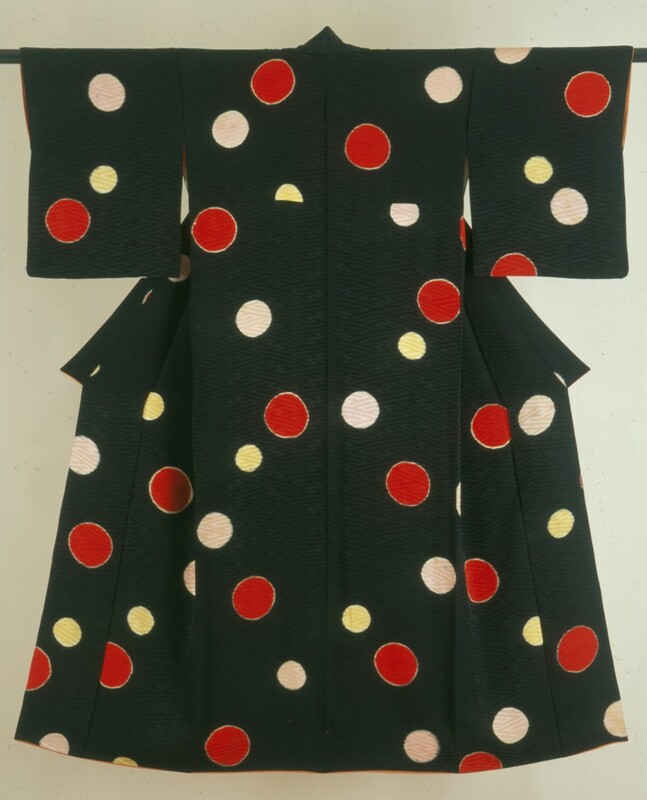 But the kimono never lost its appeal; it remained the dominant dress from the early 20th century until the 1940s, as it gradually took on a more formal meaning. 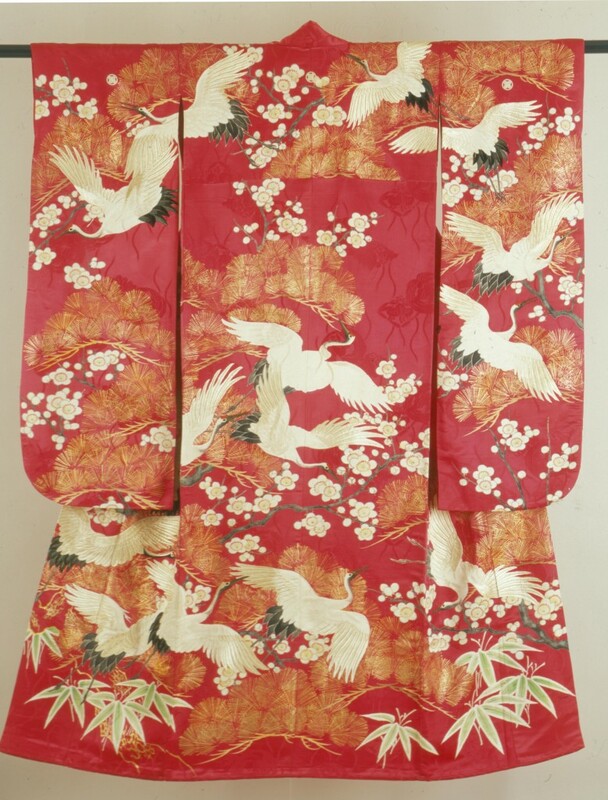 Historically, silk kimono were affordable only to the members of the upper class in Japan, and governmental restrictions further limited the scope of who was allowed to wear silk kimono. All of this changed in the Meiji period when the feudal system was abolished. 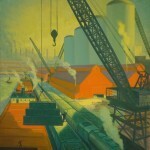 At the same time, the government revamped the silk industry with new technologies and machinery imported from the West. 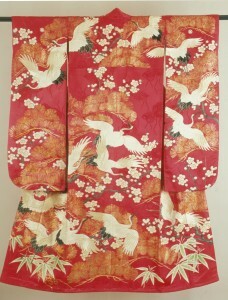 Silk soon became Japan’s main export product and the major driving force behind its industrial revolution. By the early 1900s, several of the traditional textile centers located just outside of Tokyo—Japan’s new capital and largest urban center—were supplying the new consumer with fashionable silk fabrics in the latest colors and patterns and distributing them through the new, large department stores located in the fashionable districts of Tokyo and Osaka. 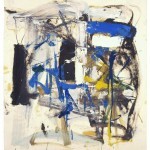 With the increasing demand and sophisticated tastes of the new consumer came the need for good designers. The department stores responded by establishing their own design sections and hiring new graduates from the best of Tokyo’s art schools. Soon their chic, modern “zuan-zukuri” (design-made) products, advertised in newspapers and on posters, became the rage. Well aware of the exotic appeal that Western fashion had on the Japanese at the time, designers created exciting, bold motifs that would appeal to their main customer, the “new woman.” Western designs often were juxtaposed against traditional Japanese textile patterns, thus transforming the kimono into a fashionable, modern garment.